Effective back pain treatment can be difficult to find in Harmony, Pennsylvania. However, there’s a great physical therapy practice in town that may be able to help you with your pain. Panther Physical Therapy was founded in 2003, and our team has been serving the Harmony, Pennsylvania area ever since. Our team is committed to helping you get the best possible physical therapy for your condition or injury. We show our commitment in a variety of ways. For one thing, we always take time to listen to your questions and concerns about your condition or therapy. We’ll also use this information to help us personalize your therapy plan for you. All of these types of commitment appear in the back pain treatment plans we build in our Harmony, Pennsylvania office. One of the most popular therapy types we offer at Panther Physical Therapy’s Harmony, Pennsylvania office is back pain treatment. We know that there are many conditions that may be causing your back pain. Some of these conditions include herniated discs, sciatica and lumbar spinal stenosis. In order to treat back conditions like these, our team typically builds a therapy plan for you that includes two distinct categories of therapy methods. The first category of therapy that we’ll include in your back pain plan is passive therapies. We won’t ask you to make any strenuous movements when using a passive therapy method. For instance, we may have you sit or lay down with an ice pack or heat pad on the painful area of your back. This type of therapy is what we call heat or cold therapy. Other passive therapies that we may include in your back pain plan are ultrasound therapy and electrical stimulation. 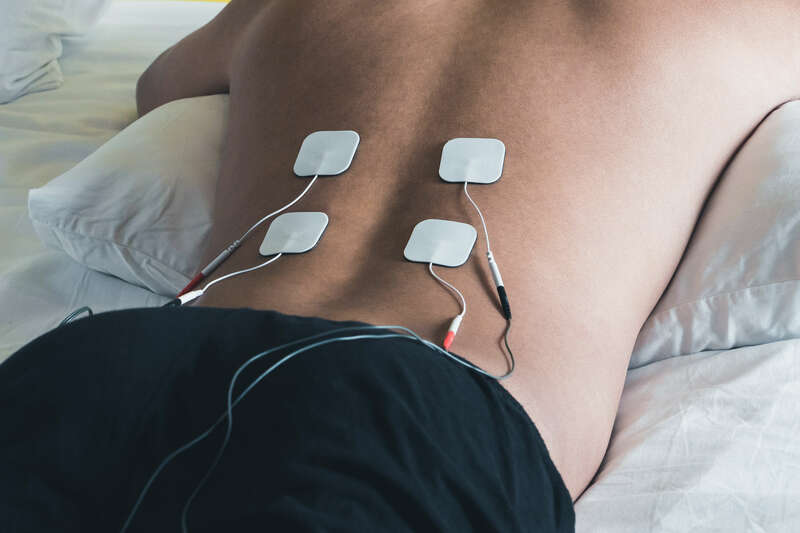 We may use ultrasound therapy to create heat in back muscles and other body parts that are far below the skin, and electrical stimulation may help to relieve muscle tension in your back. The second category of therapies that our team will use for your back pain therapy plan is active therapies. Our active therapies are included to help you improve areas like flexibility, muscle strength and conditioning. For example, we may include low-impact aerobic exercise, such as treadmill walking, into your therapy plan. This type of therapy may help to improve blood flow to the structures in your back that are causing your pain. We may also include back stretching exercises to help relieve back muscle tension and improve your range of motion. Finally, we’ll likely have you perform core strengthening exercises. These exercises may help improve the strength of muscles that provide support for your back. Using both passive and active therapies, our team may be able to help you reduce your back pain and improve your quality of life. We can even help you get started with your back pain treatment in Harmony, Pennsylvania with our free 15-minute screening.